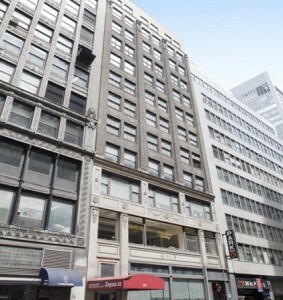 ClearRock Properties, together with Juster Properties, have closed on the purchase of two adjacent Midtown Manhattan properties totaling 101,100 square feet: 9 East 38th Street, a 93,700 square-foot, 12-story block-through office building, and 14 East 39th Street, a 7,400 square-foot commercial townhouse with 22,200 square feet of air rights. ClearRock has launched a $10 million capital improvement program to reposition the properties. Dramatic improvements will include a new lobby and upgrades to the facade, storefront, elevators, tenant corridors, restrooms and windows. A high-end prebuilt program and proposed roof deck will be implemented to attract a variety of tenant types. ClearRock will market the property for the time being and will work with building architect Spector Group Architects on renovations that will infuse a heightened level of sophistication into the building. In addition, Colliers International has been hired as property manager. The seller was Yeshiva University, which recently acquired the properties from the Gray Block Estate following approximately 50 years of ownership.